Buffalo Baby Photography is a full service, portrait boutique specializing in custom maternity, newborn, baby, and family photography. 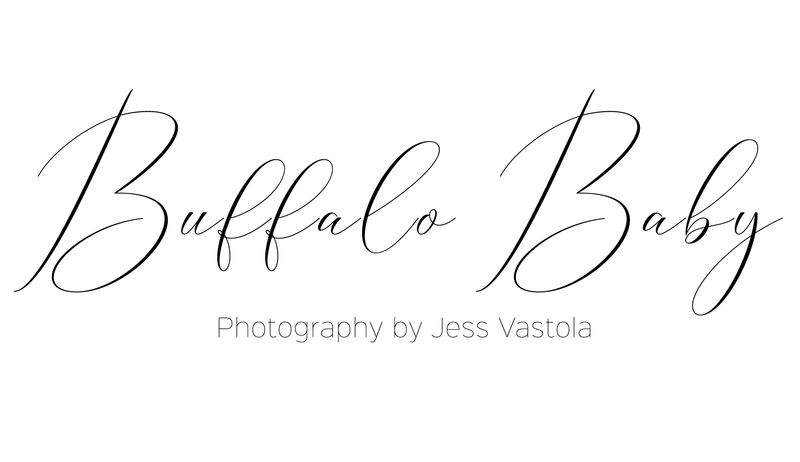 My studio is located in West Seneca, New York just outside of the city of Buffalo. Your experience is very important to me, and it is my goal is to make you feel as comfortable as possible during your session. I take pride in the details of you and your family. Professional, studio portraiture celebrates you and the legacy you’re creating. I want you to get that overwhelming feeling of joy, love, and nostalgic purpose when you walk by your art everyday. When professional imagery is printed and designed to coordinate with your home and its decor, all of sudden YOU are your art. An investment so worth it, you’ll wonder how you could have ever lived without it. Especially when your little ones grow and change so quickly right before your eyes. Remembering how small they were, those little newborn details, those looks, and grins will seem like you want to keep a vise-like grip on the past. This time is fleeting, they grow way too fast! I couldn’t be more happy as a newborn photographer when this little guy and his family walked in. I mean look at the amazing hair do on this guy already! Those rolls! Big sis was so good and cute too. She wanted to be my helper the entire session. She was so into what I was doing and taking care of him. Newborn photography might be in her future too! Just take a peak at his session, this will give you a great idea of the poses and flow I go through with them. No one is ever forced into anything and we work off of baby’s schedule. It’s all about them so if they need to eat or cuddle I’m pretty well verse on newborn ques now. Safety is always my number one priority with them as well. Backdrops from Freebird Prop Shoppe and bonnets by Sweetie Pea (my favorite)! Please feel free to contact me for more information and to get started booking your newborn session today! Ahhh this “little guy” I was so excited to meet him. I photographed his mama’s maternity session, it’s the best when you get a chance to chat with parents before their little one arrives. I get a chance to get to know them a little better and tell their story. I’m so lucky to be the one that gets to document this really short time for families. Honestly, their only newborns for a couple weeks! They will never be this small again and when you look back on this time you will say “I can’t believe he was so small”! These images, frozen in time, will bring that new baby experience and smell back and I get to be the one to do that for you! Matthew was so amazing for his session and I constantly look back on his images because he reminds me of my little guy so much. I take my job very seriously and I’m trained to handle a newborn, I have many years experience with two little of my own. I know how important it is to find the best person to handle these delicate little lives. Here are some from his session! Backdrops are from Freebird Prop Shoppe and his little sleepy cap is made by me! Please fee free to contact me for more information and to book your newborn session in my West Seneca Studio! How sweet and amazingly beautiful is this family!? I was so lucky and fortunate to capture Jude and his beautiful family here in my studio in West Seneca, NY. Nicole and Marc also happen to be an amazing husband and wife wedding photographers in Buffalo. They’re work is stunning, please go check out their work here! I was so honored and excited when Nicole contacted me asking me to photograph her entire family, there’s really no greater compliment then having the opportunity to photograph a fellow photographers new baby. If you’re interested in booking a newborn session with me please visit my investment page! Oh my goodness, Buffalo newborns are the cutest I swear! Just look at this gorgeous family. Marc and Nicole are also one of Buffalo leading wedding photographers and their work is just stunning, check them out! Some of the sweetest people I know and big brother was so great in my studio, so well behaved and so much fun to photograph. If you’re looking for a newborn photographer here in Buffalo check out my investment page for more information pertaining to a posed newborn session. You can even find more information on a newborn hospital session if you’re looking for a more lifestyle type newborn session.